Well, this is the best news I've had all day. I've "released" three pounds! And over the holiday and a trip to boot! I think what made the biggest difference was I seriously upped my raw veggie intake. I can usually tell that I lose, um, release weight better when I eat more raw veggies. Wohoo! Now, let's see if I can keep it off for next week. I'll probably be buying a Gazelle (the exercise machine, not the animal, silly!) in the next few days. If I were 100% Native American, instead of just 25%, that would be my name. Notice her new, short haircut! She hasn't had it that short in a while, and it looks really cute. Notice also the swanky Little Mermaid necklace she's sporting, courtesy of McD's Happy Meals. And yeah, she's wearing short sleeves in November. It was like 70 degrees out there, folks. Once we got home, Anna Marie did something she hadn't done the entire 12 days Amanda was gone - she wept. Bitterly. Openly. Broken heartedly. When I got to the airport, it was dark and raining. I noticed a police car behind me, but I thought he was just on patrol. He continued to follow me, and again, I thought he was patrolling the lot. He didn't flash his lights or anything like that. When I saw him pull behind my van and walk towards me, I knew something was up. Apparently, I ran a stop sign. For the life of me, I don't know where. I guess somewhere on airport property, because he was an airport cop. I apologized PROFUSELY and handed him my license. He took what seemed like forever to call it in, and then let me off with a warning. Let's note here that this was the first time I'd EVER, EVER gotten stopped by a police officer in my 15 years of driving. Anna Marie was HIGHLY traumatized. The whole time we were waiting for Amanda (which ended up being about an hour) she kept telling me how scared she was. The officer wasn't ugly with me, and he didn't flash his lights, and I told her that he was just doing his job. I explained how dangerous running a stop sign was, that if there had been another car coming that we could've had a wreck. By the time we got home, "scared" had morphed into "angry." She was angry with me for getting in trouble and causing her to be scared. I actually made the mistake of telling her that it wasn't my first time to run a stop sign, just my first time getting caught (and explaining that all drivers have done it at least once) and she really thought I was awful. I even tried to have a teachable moment, where I told her that whether or not the policeman had seen me I'd still broken the law, and that whether or not I saw her do something wrong she was still wrong. And, that even though I'd gotten a warning, I deserved a ticket - and that God had mercy on us too, when we deserved much worse punishment for doing wrong than what we got. As I was getting her into bed, she was still mad at me but getting over it because I told her that I couldn't sing bedtime songs to someone who was mad at me. (Awful of me, I know.) And she was settling down. And then she saw it. It was a picture of Amanda and me, taken in the spring, that was on her night stand. She picked it up, held it, and began SOBBING. I'd never seen her cry like this - great, heaving sobs, which seemed to come from deep within. She said she missed her Aunt Manda, and I explained that she needed her rest and Anna Marie could see her in the morning. She was not satisfied. I reminded her that she hadn't cried the whole time Aunt Manda was gone, and she said she almost did - when she was watching the episode of Spongebob Squarepants where Spongebob loses his pet snail Gary. "I just keep thinking about Spongebob losing Gary," she sobbed. Keep in mind, Gary left because Spongebob forgot to feed him, and he was held captive by a crazy old lady - neither of which happened to Amanda. It took me until after 11:00 to get her to settle down, to stop crying and making her face all splotchy. She admitted that she was scared that I was going to get arrested, and I reassured her that people don't usually get arrested for running stop signs, unless they're also doing something else wrong, in which case, I wasn't. She's afraid that the next time I go to the airport, I'll run the stop sign and get caught again. Amazingly, she was back up at 7:00 a.m. Amanda and Mom came and got her to take her to lunch and then around town for the afternoon, and I hope she caught a nap in the car - or she's going to be a real pill when I get home. Oh, and after I put her to bed, I had a teachable moment all my own. Remember when I told her that even if no one saw her do wrong, she still was wrong? Well, I was reminded that since I'd gotten back from Georgia I'd been regaling people with things my uneducated, backwards mother-in-law had said. Even though she didn't hear me make fun of her, I was still wrong. I was still speaking unkind words. That, my friends, sent me off to bed with a heavy heart. As Amanda once titled an email to me, "We came through it with our lives." Really, as bad as it was, it could've been worse. Lunch on Thursday was lovely. We stopped at Cracker Barrel and had their Thanksgiving lunch. We went ahead and stopped about 11 a.m. when we came across one, and figured that if we waited any longer we wouldn't be able to get in the door. Since we were just a group of three, and it was early yet, we didn't have to wait very long. Anna Marie and I split the dinner, and the waitress brought her a piece of pumpkin pie of her very own - and didn't charge us. We left her a nice tip, seeing as how she was having to work on Thanksgiving and all. considering that they'd be back the next morning at about 6:30 a.m. My SIL had to work a 7 a - 7 p shift at the hospital where she's a Certified Nursing Assistant. Over 12 hours. It was maddening. They were maddening. We HAD to get out of the house, so we took them to Zaxby's for lunch. I was a little apprehensive, but Jason threatened them within an inch of their lives and promised them Little Debbie Christmas Tree Cakes if they were good. Christmas Tree Cakes that we had to travel to three stores to find, because Jason was determined to keep his promise to those kids. Well, for the most part, they were good during lunch. Kimberly, the middle kid, who will be 8 in January, was the instigator. The other kids would be minding their own business, and she'd start kicking, or rip away whatever toy they had, or just generally cause a ruckus. I actually made her stand in time out during lunch, because she was bothering her sister and Anna Marie. 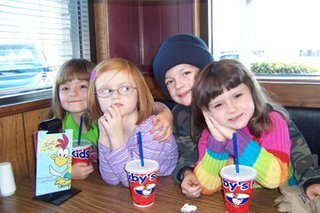 From left: Kimberly (7), Anna Marie (5), Christopher (8), and Rebecca (5). Notice the sidelong glance Anna Marie is giving to Christopher. Not really sure what that's about. We did get a bit of a break on Saturday, since they left the house so Anna Marie could get a nap and didn't return. I thought my SIL was mad, because we were gone at supper time and she didn't call - I figured she'd gone back to the house, and followed her normal M.O. of calling to see where her mom is. Because, obviously, she can't be at her mother's house with her kids and her mother not be there. However, she was with her ex-MIL because it was her birthday. I did get to see Jason's brother Charles, who I'd only seen once or twice before. He's the other red head in the family. He also has a red headed daughter, but she's an adult - Charles is probably in his 50's. At least the weather was nice, so the kids could play outside. Get them all inside, and boy howdy, what a crew! So, we're back. I did pretty well about my eating, and, if Amanda's scale holds true (I weighed myself Thursday morning when we stopped by mom's on the way out of town) I "released" a couple of pounds last week. Thursday's weigh in should be interesting. Amanda comes home tonight. 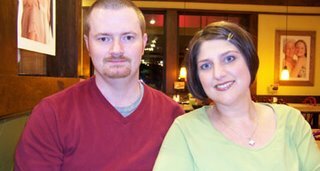 Anna Marie and I (and Jason, if he isn't too tired) will go pick her up in Memphis, and then hopefully go out for Vietnamese food. I'm going to get a piece of paper and make a sign for Anna Marie to hold that says "Aunt Manda." Really, Albi isn't as bad as he seems. 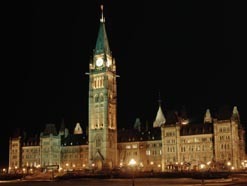 Amanda went to the House of Parliament. No, not George Clinton's place. The one where the SNL skit takes place, and people with bad teeth are trying to figure out how to keep Oasis from breaking up. Anyway, she also went out to lunch with a Nigerian woman from the church she attended Sunday - and the lady paid! She said it was very posh. She's also been without hot water since she's been there. The hostel finally got some yesterday, but she had stayed up late so she could talk to mom and missed getting up early enough to get a hot shower the next morning. However, she did get to wash her face with hot water. Sweet! Her new roomates are more Americans, but this time, they're of the "obnoxious rich girl" variety, the type that goes out clubbing and comes back in the wee hours with men and much booze in their systems. On daddy's tab. So, when she woke up early this morning and disturbed them, they were put out, but she was not. She's supposed to go to Birmingham this weekend (pronounced without the "h" by the way) for a camera expo of some sort - the reason she went over there in the first place. Amanda was also slated to go ice skating today with an internet friend, and I'm worried because she isn't exactly Nancy Kerrigan. I think she's been once before, maybe 7 or 8 years ago. And me, well, I'm STILL doing laundry and haven't even begun to pack. It's nearly 9:00 p.m. and I still have to do that, and go out to the storage room to get the coolers so they can be packed. But the storage room has buggy wuggies, so I may wait until morning - they're nocturnal, you know. To talk about Christmas music. I know we haven't even had Thanksgiving yet, but I'm psyched for Christmas music. So far, I've loaded four Christmas albums into iTunes, purchased another, and have two more I'm going to load before tomorrow so I can update my iPod. And my collection runs the gamut. I'm listening to Third Day's new Christmas Offerings (purchased from iTunes this morning) right now. But I also have James Brown's Funky Christmas (Santa Claus Go Straight to the Ghetto is one of my favorites) and a mix CD that Amanda made me a few years ago of Motown Christmas music. I have Kirk Franklin Christmas, Steven Curtis Chapman, Hillsongs, and several old Lane Bryant Christmas CDs, from when they used to do that sort of thing, full of standards like I want to see Santa to the Mambo and Cool Yule. At home I have a Mercy Me CD I'll get at lunch and bring back to work this afternoon. I love Christmas music! Of course, I like Blue Christmas - I am from Memphis, after all. But what I love most of all are the sacred songs - I love to take a minute and listen, really listen to what they're saying. I get so excited to think about my Saviour, coming to earth as a small baby, knowing He was going to die, just because He loved me so much. Sometimes, I have the urge to shout "Glory!" when I hear these songs. If I were at my church, that wouldn't be a problem, but unfortunately I'm at work, and the others in the office might look oddly upon my religious excitement. So, even though we haven't yet had the turkey or the pumpkin pie, or watched the big balloons in the Macy's parade (wonder which one will deflate this year?) I'm on to the Christmas music. If I had some way to get my iPod hooked into my stereo in the van (I don't want to buy one of those iTrip things, I'll just wait until I get a new CD player that has an input jack) I would have enough music to listen to on the entire 500 mile trip tomorrow, without repeating anything. 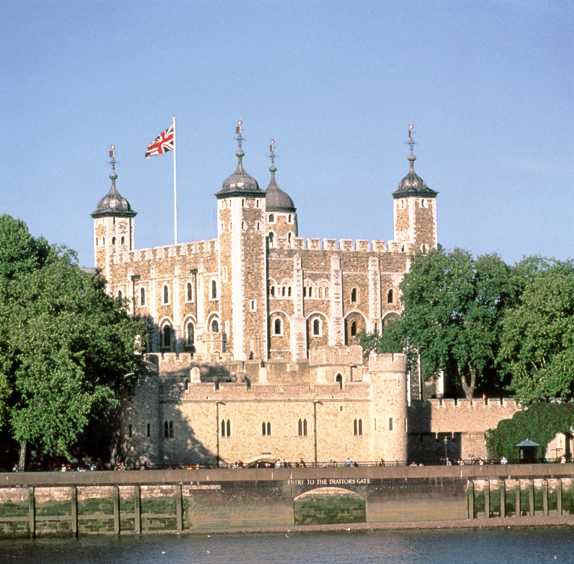 Today, she went to the Tower of London. It cost her about $30 to get in, and then another $7 for an audio tour. She said she'd never seen so many weapons in one place, or a suit of armor with a place for a man's, as she put it, *ahem* before. That last thing apparently belonged to King Henry VIII. She also went to Picadilly Circus. Poor thing though - her SLR isn't being very reliable. She has other cameras with her, but she was really counting on that main one. Oh, and she read the blog and corrected me - her first roomates weren't from Autrailia, they were college students from Boston. I guess the Aussies must have been elsewhere in the dwelling. Her new roomates are also Americans, girls who are backpacking across Europe. 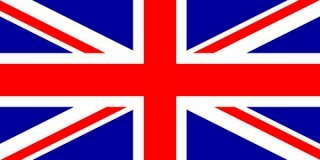 Thanks to all of you out there in blogland who are putting up with my detailed retelling of my little sister's exploits across the pond! In my non-Amanda news, I have to start packing mine and Anna Marie's stuff. And since we don't have a ton of clothes, that means I'll be doing laundry tonight and tomorrow so we'll have something to wear. And, since it's supposed to be around 70 degrees in Augusta this week, I'll have to further figure out what to pack, since neither of us have any warm-weather clothes that fit. For those of you who are traveling tomorrow - stay safe! 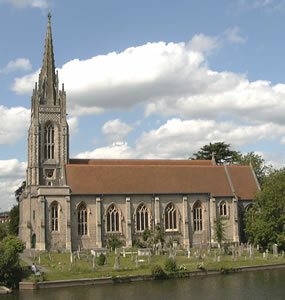 Amanda really did go to the church in the picture above. 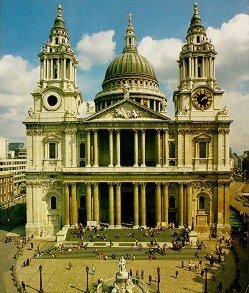 It's St. Paul's. And it cost her nearly $20 to get in! She said the main atraction was the dome, and that she sat in a chair for a while and just stared at it. She also lit a candle in memory of our friend LaJuan's daughter, Lauren, who was killed on her way to church on Mother's Day 2004 when she was just 18 years old. Her Austrailian roomates left early this morning, and, thankfully, didn't wake her. She didn't know if she had other roommates when she emailed me. She's going to spend a couple more days in London, and then she's supposed to meet a friend in Brum. We had our Thanksgiving dinner today. I did really, really well! The only splurge I had was a smallish slice of caramel cake. Oh.my.gosh. The food was fabulous, as always. We have a place here called Penny's Pantry, run by a girl not much older than me named, you guessed it, Penny. 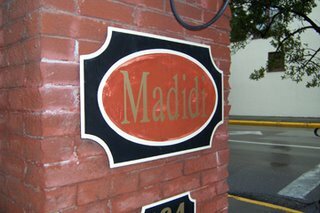 She's also a recently-elected member of our Board of Aldermen. Anyway, she makes casseroles and desserts for busy (or lazy, or just plain hungry) folks to take home, or you can make special orders like for a party. She also has lunch during the week - but not this week, because she's so busy with Thanksgiving orders. It's such a different feeling, to get up from a meal like that and not be stuffed. I had a little (like, 1/4 cup) of everything - hen and dressing, baked corn, green beans, and a fruit salad like I've never seen, with cheddar cheese shredded on top. Everything is made from scratch, by Penny and her little helpers, so everything is superb. Amanda, if you're reading this all the way over in London, you missed that cake! Nya nya! We're on a short deadline this week, and every interview I tried to set up for my feature article fell through. I'm going to have to come up with something else, and quick-like. By the time Thanksgiving gets here, I'll be good and ready for a break. Except I won't get one, because we're driving 500 miles to see the in-laws. Amanda went to church today. Not at this church, but with some missionaries from our denomination. She didn't give me many details, but did say it was "excellent." She thinks she knows what's wrong with her SLR, but didn't take it out today because she didn't want to lug it around at church. However, her lack of sleep did keep her from doing much, other than walking around some and riding the Tube. She says she's being boring at night, because she can't find much to do that doesn't involve, as she put it, "booze." So, she's had three days in England, and nine more to go. I don't know what she's doing tomorrow, and I don't think she has any definite plans. She did, however, say that the weather has been beautiful. And in other, non-Amanda news, our service went nicely today. My Aunt Debi did a little skit about how we have such a poor attitude all the way to church, and then when we get there, it's often hard to find something to be thankful for. I can't tell you how many arguments I've sat through on the way to church, only to have to put on a "brave face" when we got out of the car. As children, of course - my husband doesn't really argue. Drives me up the wall! And Anna Marie did very well with helping me in my "grocery basket" illustration. Hope you all have a good week ahead. 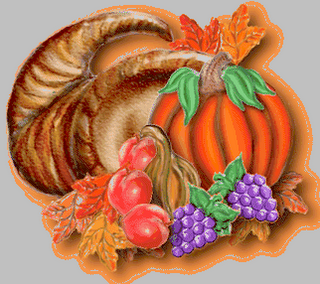 As for me, I'm preparing for my first holiday challenge - tomorrow is our annual catered Thanksgiving lunch at work! I'm going to be speaking at church tomorrow. We're having, of course, a Thanksgiving-themed service. I've written a little something for the service. It'll be an object lesson. I have a small toy grocery basket (labeled "Life-Mart") and inside are cans of various sizes with various labels - food, shelter, clothing, God, BMW, big screen TV, Pile O' Debt. Read this, and then I'll tell you what I'm doing with the basket and cans. Luke 12:29-31: 29 And do not set your heart on what you will eat or drink; do not worry about it. 30 For the pagan world runs after all such things, and your Father knows that you need them. 31 But seek his kingdom, and these things will be given to you as well. As I was walking through Wal-Mart late one night last week, I was irritated. It seems like there is no such thing as a “short trip to Wal-Mart.” No matter how detailed my list, it always takes me twice as long as I anticipated to get my shopping done. I already had everything on my list. I had everything I needed that night. So why was I still in the store, instead of at home in my PJ’s drinking hot apple cider? It was the stuff I didn’t need that was causing the problem. Those things I was looking for but didn’t need were keeping me from being where I should’ve been. Then God showed me that we’re the same way in our daily lives. He supplies our needs. We have no cause to worry about what we’ll eat, or drink, or wear. He’s going to take care of us. It’s worrying about the things we don’t need that gets us in trouble, that keeps us from being where we should be – spiritually, emotionally, mentally, and often physically and financially as well. It can cause us to spend more time at work than we really have to, to pay for things we don’t need and shouldn’t have bought. It can keep us from having the peace of mind that we should have as children of God. If we’re worried about keeping up with the Joneses, we’re using energy we should be putting into our families, our spiritual life, and our outreach to this lost and dying world. This year, as we enter the holiday season, I think God would want us to be mindful of some things. In a world that tells us that we never have enough, we need to remember that He is all we need. In a world that tells us that the measure of success is the size of our bank account, our house, or our SUV, we need to remember that He measures success by the condition of our souls. In a world that tells us that we need to seek the next big thing, we need to remember that He says to seek Him and His kingdom, and the rest will fall into place. We need to remember that anything that takes our focus off of God can become an idol. And we need to remember that we serve a jealous God who won’t let idols stand. As the “pagans” of this world run around during the next month trying to out buy, out bake, and just plain out perform each other, the children of God need to remember what this season is really all about. We need to keep our eyes off of what the world tells us is important, and remain thankful for the simple blessings He has bestowed upon us. 1 Tim. 6:6-8. 6 But godliness with contentment is great gain. 7 For we brought nothing into the world, and we can take nothing out of it. 8 But if we have food and clothing, we will be content with that. 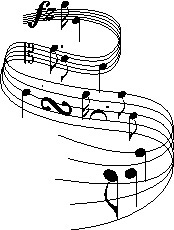 At the end of the message, I'm going to play a version of "Simple Gifts" by Yo Yo Ma and Alison Kraus. Anna Marie is going to carry it up on to the stage. Then, I'll read the labels and we'll start putting stuff in the basket. Pretty soon, it's too heavy to carry, and not everything will fit. And what's usually the first thing to go when "stuff" starts to crowd in? But when we concentrate on just having what we need, it all fits. Even Him. And it isn't too heavy a load to bear. I pray we all keep these things in mind in the hustle and bustle of this holiday season. Day 2. And yes, I'm putting my own life on hold to live vicariously through my sister. I got an email (!) today from Amanda. She said today was beautiful, chilly but without a cloud in the sky. She had been worried about her possible roomates (she's staying at a hostel)but they're three students from Boston and she said they're cool. She also said that when she saw Trafalgar Square, she realized she really was in London! 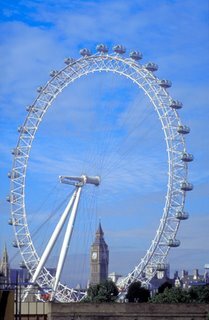 Amanda walked to see the London Eye (that's the big ferris wheel above) but did not ride. She's having problems with her SLR, but didn't bring a spare because of a lack of space. Pray for her! She also walked across a bridge (the Jubliee bridge, she thinks) and got to see Big Ben! And, she's even found a way to have peanut butter and banana sandwiches, one of her favorite things, all the way across the pond. Tomorrow she's supposed to attend church with some missionaries from our denomination. They itenerated in the conference we were in before we moved from South Carolina. Two days down, 10 to go. Doesn't that sound like it should have some sort of urgent music behind it, and I'm Katie Couric, and it's some sort of urgent situation? Anyway, I just talked to my mom, and she had talked to Amanda about two hours ago. Poor thing didn't get a bit of sleep as she crossed the Atlantic on her all-night flight. And this girl does not do well on no sleep. She took the train from Gatwick to her area of London, but she couldn't check in yet at the hostel (although I think it was about 3:00 p.m. at the time) She told the people at the hostel she was hungry, and they directed her to a place where she ate some pea soup and bread. What a very London thing to eat! Her first meal in England - I'm so excited. And I'm sure she took plenty of pictures of the food. She probably will not, however, be indulging in those other two most-London like things, namely fish and chips and Guiness. Being a vegetarian, the fish is out, and being a teetotaler, the beer is out. As I was starting to feel better about her being over there, Donna (at the Quiet Life) reminded me that her daughter had gone over there by herself last summer - and she's only 17! I started to freak out belatedly for her! So, keep both Amanda and us in your prayers for the next 12 days. I'm sure we'll need all we can get. And I won't talk about how I took half a day off from work to put my only sister on a flight to London. And how I didn't cry (!) until two hours later, when I looked at my watch and figured out that she was about to board the plane, and I started praying for her safety and general well-being, and busted out in tears. So, I'm going to talk about last night. We didn't make it to Spaghetti Warehouse. We actually only made it to Fazoli's. Jason, Amanda, Anna Marie, and I headed up to Southaven for dinner, and my dad was on his way home, so he met us. In honor of his birthday the day before, Jason had some turtle cheesecake. And Anna Marie had spaghetti. And we went to Target, where I ended up with a new t-shirt on clearance, and a new case for my iPod on clearance. And now, my only sister is somewhere over the Atlantic in an airplane full of strangers, and I have no idea when we'll hear from her. Her cell phone is on the fritz, and we don't know if it'll work over there or not. She's supposed to email us at her earliest convenience. But, we won't talk about all that just now. Girl talk over - and thanks for those who left comments and emailed me. Very, very helpful you were. (That's my Yoda impression for the day, by the way). Oh, I had SO much to post yesterday, but I was away from my computer from 7:45 a.m. until after 5:00, (You know, MADIDI!) and then after I got home and got dinner, and put Little AM to bed (which took a complete hour!) I had to finish working on some calendars I got rooked into laying out to help a fomer co-worker. I seem to be getting rooked into a lot these days. Take, for instance, yesterday at Madidi. (And yes, I should've had someone take my picture in front of the sign, but I was tired and cranky and that would not have been a good idea.) I guess I was blinded by the thoughts of an excellent meal and the prospect of meeting one Mr. Morgan Freeman his own self, and I totally DID NOT GET the whole point of the day. I thought I was going to a "tabletop exercise" like the one I'd attended at our local college a few months ago, when folks from all different segments of life got together and discussed what to do if/when the bird flu hits here in Tate County. I was there because a community foundation from this area has partnered with some slightly-shady (at least that's how it seemed to me) community organization headquartered in NYC to get money to combat childhood obesity in the south. So, I apparently am now part of a steering committee for my county, which has come up with a plan for a program, which, if we get funding (we'll find out in a few weeks) we will be implementing in the public school system next fall. YIKES! That is such a huge undertaking, that I don't really know how I fit in to the whole thing. Usually, people like me to be on their committees, because, well, I'm the media for our county. They like the free publicity. 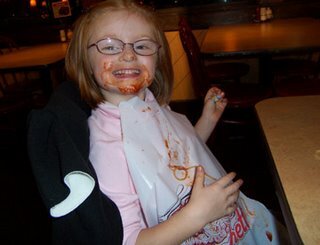 It isn't that I don't want to combat childhood obesity - I fight that battle every time I take my five year old into a fast food joint and make her have apples and milk instead of fries and soda - but I don't know if I can put one more thing on my plate. 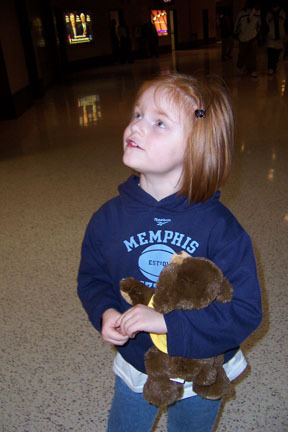 Especially since this program would begin just as Anna Marie is entering kindergarten. But I'm guessing I don't have much of a choice at this point. I went to their meeting. I ate their food. I'm now locked in. Oh, and yesterday was Jason's birthday. He worked all day, and then was so tired he was in his PJs (new ones I bought him for his birthday and gave to him a couple days early - GAH, we are such old fogeys!) and he sent me out to KFC for some dinner. Festive, eh? We'll make up for it tonight, when we go to Spaghetti Warehouse for a combination Happy Birthday Jason/Bon Voyage Amanda party. She's leaving tomorrow night for LONDON! Oh.my.gosh! And now, well, now I have to get off this blog and catch up on all the things I should've been doing around here yesterday. Men, if you're out there, you're officially excused. 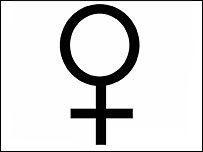 Now that it's just us girls, let's talk. WARNING: Possible TMI ahead. I've been on the pill nearly the entire time I've been married. I went off of it after the first year, and a year and a half later, I got pregant with Little AM. I was nursing her, so the dr. put me on Micronor (the mini-pill). And GAWD, did it make me crazy. It was really, really awful, but I didn't want to fall for that whole "you can't get pregant while breastfeeding" thing, 'cause it's like NOT TRUE, so I stayed on it. Then, a couple of months before I moved out here, back when I still had insurance, I got back on Tri-Cyclen. Much, much better. Problem was, once I moved out here (and had no insurance) even though I had a prescription, no one would fill it for me because I didn't have a doctor here. After about a year off of the pill, I got pregnant again. I had no insurance, and Jason wasn't working, so I got on Medicaid. However, I lost the baby almost immediately. But, because I was on Medicaid, the state paid for me to get back on the pill. Problem here: I was significantly more overweight that I am now, and my blood pressure was up, so I had to be put back on the mini-pill. In fact, before my visit last year (when I'd lost a bit of weight) I had to go in every three months and get my BP checked before they'd give me another three packs of pills. However, this past time, it was normal, so they gave me the whole year. But they kept me on Micronor. So now I'm back to the four-day-period-every-two-and-a-half-weeks thing. AWFUL! Now, here is the dilemma part. I've been getting my stuff from the Health Department. Hate it, but I still have no insurance. It's time for my visit again, but last month I was sent a paper saying I had to requalify. And then I promptly lost the paper. I don't know if I'd qualify again, because last time, Jason wasn't working and I was making about $1.50 less an hour than I am now. And now, I'm wondering if I should even go back on the pill, or find some other, over-the-counter way to keep from having another baby. I know this must sound INCREDIBLY selfish to people who want children and have been unable to have them. For that, ladies, I apologize. I do not mean this to sound that way. Now, I need suggestions. Short of me (or, preferably, Jason) getting snipped, what other things have you used? I know this may seem like an odd question to ask the Internet, but I'm the only married woman of childbearing age at my job and my church, and most of my friends either aren't married or have finished having kids and took care of things permanently. So, to sum up: Help! For those who saw my blog last night and into earlier this morning, I REALLY apologize. Thanks to Valerie's rave reviews of Blogger Beta, I switched. And lo, much fun was had with the colors and the fonts and the changing around of elements. I was changing colors last night on the laptop, and that green sidebar seemed like a good idea at the time. However, in the light of day and a decent monitor (thanks, iMac!) I realize how garish it was. Again, I apologize for any permanent damage which may have been done to your eyes. And I may or may not be done playing with this blog yet. If you have Blogger, and haven't switched over, I highly recommend it. Just make sure you have a decent monitor (and, if you're like me, a decent chunk of time) before you embark on the customization thing. Ok, so I found out that last week I actually gained TWO AND A HALF POUNDS! That actually pushed me to 175.5! Now, I've lost two of those pounds, and I hope to never find them. Let's see if I can finally get out of this up/down/up/down cycle, shall we? You may wonder why I'm screaming "COFFEE!" I discovered it's God-given purpose this morning. Last night was election night, and I was at the courthouse until 11:00 p.m. to wait for the results, so I could put them on our website and send out the email push. 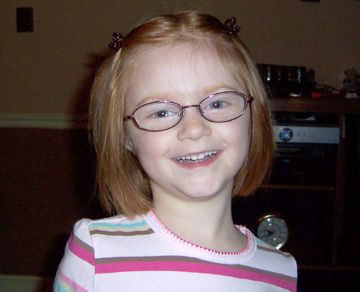 That was after I worked all day, took Little AM to get her glasses (see picture below), covered a city alderman meeting, took Little AM to her soccer awards night, put her to bed, and then went back to work - at 9:00 p.m.
After getting home at nearly 11:30, I was pretty beat. Then to have to get ready for bed, and settle down, well, it was pretty late when I went to sleep. The alarm was not a welcome sound at 6:30 a.m. I got up and put my pants in the dryer to de-wrinkle (and de-damp, because the Laundry Fairy didn't make an appearance until 9:00 p.m. last night and my pants weren't quite dry), and made myself a cup of strong coffee. Now, I don't drink much java. I'm more of a hot tea girl. But I do drink it occasionally, and my mom got me one of those nifty pod coffee makers for Christmas last year. I made it black this morning, with the addition of a packet of sugar free hot chocolate for a slight mocha touch. Oh.my.gosh. I didn't realize that this was what coffee was made for! 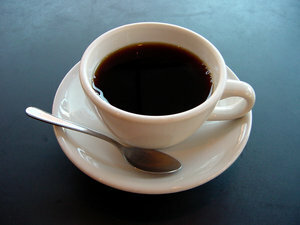 I'm afraid I could become addicted, one of those people who isn't "awake" until her first cup. Like my mother. For whom my dad and I waited in line for an hour once when we had an ice storm and only one place in town had power to make a cup. So, back to the glasses. She keeps saying she looks silly, but I think she's just getting used to the sight of herself in specs. The optometrist gave her a cute little case that looks like a pink purse, but no lens cleaning cloth, so we'll have to get one of those. She went to Ms. Kim's today with firm instructions about the proper care of her new spectacles. She says everything is bigger, which I don't get, but then again, I'm nearsighted, not farsighted. Last night as we were driving to awards night, it was like she was seeing Senatobia for the first time. I guess they really will help her. She has another appointment in a month to see how she's doing. I really, really hope she doesn't have to get the other half of the prescription filled, because I really, really don't want to have to pay for another pair so soon! I have every confidence that my highly enlightened readership (all three of you) has already taken care of this important civic duty. I did mine a little bit ago. In the event that you haven't voted yet, you still have time. 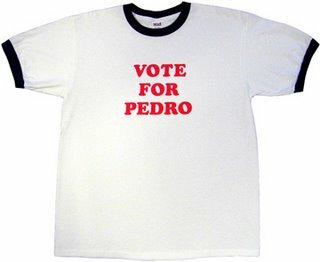 I know in some races it might seem like there isn't a good choice - good grief, if I lived in Tennessee, I don't know who the heck I'd vote for. But, you still need to vote. You might be surprised once you get to the ballot box, er, Diebold voting machine, at how you are forced to make that choice. Go on now - get to it! Starving children in China would love to have your rights! The nice new one Amanda just gave me. I took Anna Marie to our little movie theater this afternoon. It's basically across the street from our house, and we've walked before, but today was a little chilly. We saw Flushed Away. Now, when I say little theater, that's exactly what this is. There are no matinees during the week during the school year - except during Christmas break and Spring Break. Only one of the screens has staduim seating, and we weren't in it. Anna Marie asked me why there were no steps! She sat in a seat for part of the time, but ended up in my lap because she couldn't see over the kids in the front row. She loved the movie. I thought it would be annoyingly juvenile, but it wasn't too bad. They should give the slugs their own movie, just like they did with the penguins from Madagascar. 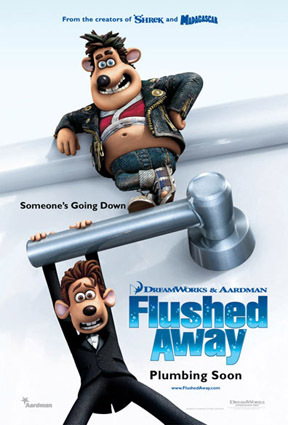 So, Anna Marie and I both recommend Flushed Away. We're now anxiously awaiting the release of Happy Feet! 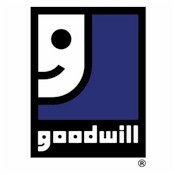 I got to go to Goodwill today! Oh, and then I remembered why I hate going. We went this afternoon (and by "we" I mean Amanda, Mom, and the Three Turners) after Little AM's last soccer game. I got going in there, and didn't come out for about an hour. It isn't that I set out to spend an hour in there. It's just that, well, at our Goodwill (and by "our" I mean the one half an hour north of here in Southaven) doesn't arrange clothes by size. They arrange them by color. Not very efficient, if you ask me. Sure, there are times when I need a "white shirt" or a "blue skirt" or a "pair of khaki pants." At those times, it is helpful to have clothes arranged by color. However, most of the time, especially now that I'm so wardrobe challenged, I'm just looking for something, ANYTHING that fits. Really. I'm not picky these days! So, I needed some long sleeved shirts. I had to go through EVERY LONG SLEEVED SHIRT IN THE PLACE. It took a long, long time, folks. I gathered several shirts and a pair of khaki pants and took them to the dressing room. The pants fit, but only one shirt - a white cardigan. I figure you can't really go wrong with a white cardigan. Even if it's basically off-white, like this one is. Then, I found Anna Marie what was possibly the only 5T outfit in the whole store - a pair of plum colored knit pants and a sweater that matched. The whole experience was not helped by the "Goodwill Radio" that was playing - one minute it was Christmas music, then Contemporary Christian, and then Shakira and Xtina. I guess they're trying to be "all things to all people" but, really. It was too much. So, even though I dislike thoroughly going on a Goodwill trip, I managed to get a pair of pants and a sweater for me, and the same for Anna Marie, all for about $14. Now I just have to find some shirts to go under my new sweater. But that will have to wait for another day. And, I think they've got some good ones at Walmart - a place I dislike only slightly less than Goodwill. I can't believe I'm even posting this. I guess I'm just in shock. Wow. 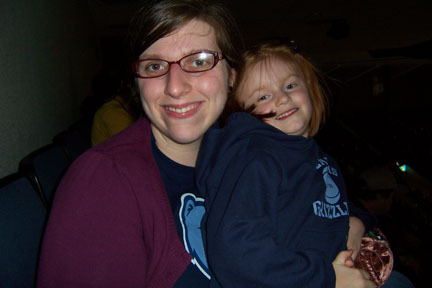 Amanda, Anna Marie, and I went to the Memphis Grizzlies season opener last night. It ended up going into triple overtime, but we left as the third overtime was beginning - it was after 10:00, and we had a four block walk back to the car and a 45 minute ride home. And a five year old. However, we did watch the last of the double overtime on the screens in the lobby when Amanda went into the powder room. Tell you what - $5 game day tickets rock, especially the part where they let you buy them on the internet now instead of having to go to Memphis, get the tickets, drive home, and then drive back for the game. The only bad part - we were in Row Y, which is the very, very top of the nosebleeds. We were against the wall, people. But no matter. Once the game started, it was all good. I have no voice left. Neither does Amanda. Anna Marie was still asleep when I left this morning, so I don't know if she does or not. And boy, did we splurge. Remember my "no more than $10 on any one item of clothing" rule? I broke it last night. 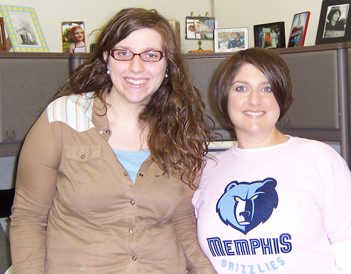 I sprung for an $18 Grizzlies t-shirt. It's pink. It's short sleeved, but I can wear a long-sleeved shirt under it during the winter. Wanna know why it was $18 instead of $20 like the other shirts? Cause it was a youth size, that's why! It's a nifty trick I learned from Amanda. The youth x-large fits me better than the adult medium did. And Amanda and I went halfsies on a bear for Anna Marie that she fell in love with. 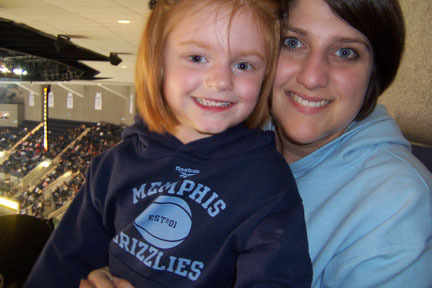 It's wearing a miniature Grizzlies shirt. And I spent $5.50 on a souvenier cup of Diet Pepsi. That was after Amanda had bought a big cup of hot cocoa for the three of us to share and some doughnut holes. Hey, it WAS the season opener! So, the three of us watched the game. And we cheered. And they went into triple overtime. And lo, there was much wailing, and gnashing of teeth, and pulling of hair. And yelling of "Defense!" And they lost by one point. But they gave those Knicks a run for their money, and I have a feeling this is going to be a good season. The fact that one of our star players (Shane Battier) was traded to Houston over the summer, and our other (Pau Gasol!) is out with an injury, didn't stop us. 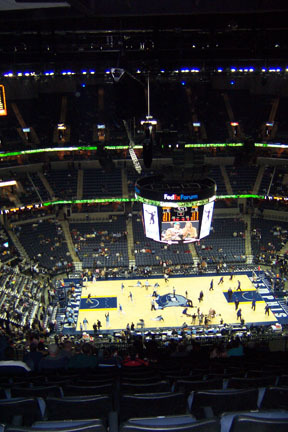 As Three Six Mafia sings, "Memphis Grizzlies, stay fly-yyy-yyyyy!" No, not really. 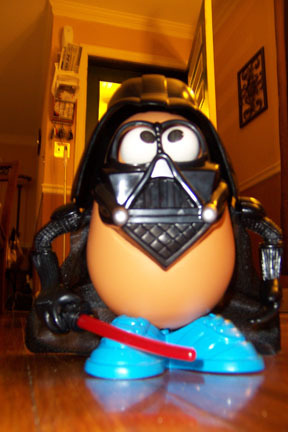 That's just the Darth Tater that Anna Marie got for Christmas last year. Well, despite the general sogginess of the night, I'd have to say that Halloween at the Turner's was a success. Some folks from church came over and we had chili and hot dogs, and we gave out little bags of candy with our church information on them. Now, what we'll do if the candy-hoarding minions come on Sunday and completely overwhelm us, I have no idea, but we'll cross that bridge when we come to it. 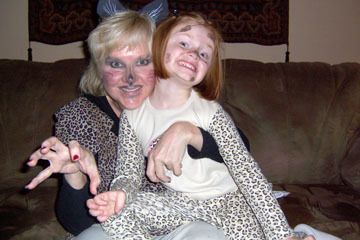 Before the festivities started I took Little AM to a few houses in our neighborhood - and I do mean a few, because most people either weren't home or were hiding from the trick-or-treaters. That's my Aunt Debi. I wish she'd have made Anna Marie a pair of those ears while she was at it, but hey, she spent all day yesterday stuffing candy into snack-sized Ziplocs, so I'm not complaining. 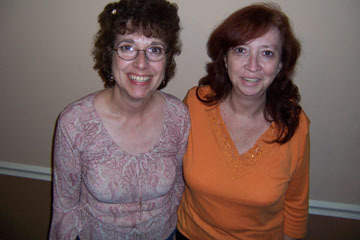 And here is my mom (on the left) with our wonderful friend Barbara. 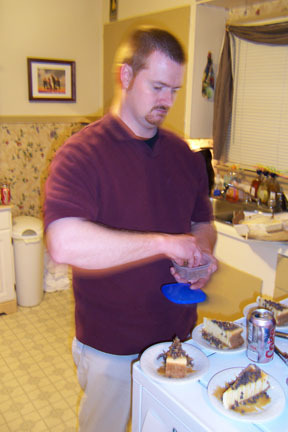 And, to show everyone what a gourmet my husband really is, witness him making turtle cheesecake - and totally blowing my brownie muffins out of the water. Well, I happen to be pretty proud of myself. I didn't eat one.single.piece of the little leopard's candy. I didn't indulge in the turtle cheesecake like everyone else. I didn't even eat a hot dog with my chili, even though I really wanted one, because I didn't have the points left over and I didn't want to dig into my flex points for a stupid hot dog. Plus, I got a LOT of exercise yesterday, between the 30-minute marathon cleaning session before work, the dash to the grocery store for last-minute drinks (and oyster crackers for Jason) and the six-block trick-or-treating trip. In short, I survived! Now, tell me, how did you do?